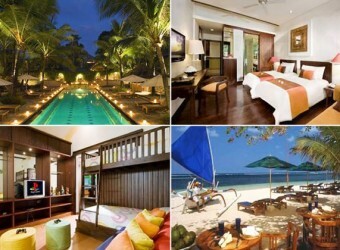 Bali Hotel Novotel Benoa is situated on Nusa Dua Beach. Each room with combination of white wall and wood texture. Hotel with three swimming pools,very unique objects are arranged in geometric shapes,trees surrounding give sense of private. Kids club is also available.